Do you need a Retreat Master, or an inspirational/motivational speaker, for you and your group? Fr. 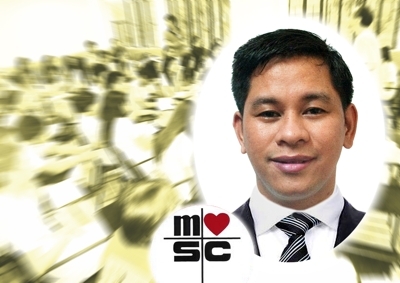 Richie Gomez of the Missionaries of the Sacred Heart (MSC), offers to share the Good News–in most cases, at no cost to his audience, this being part of his ministry. Fr. Richie is qualified and experienced to talk about the application of the Gospel in everyday life. Call or text him at 09266405474. Or E-mail him at richforever55@gmail.com. Or visit the MSC Website, www.misacor.net. MSC is a mission partner of the Communication Foundation for Asia.